Both boards were connected via a 40pin flat ribbon cable and we successfully tested it up to a length of 1m. Service manual for the EP80 printer. The N12H has a monochrome/amber tube and was used as the monitor for the pupil machine on all school networks. The pupil computers all were english 128k machines. My Enterprise Monitor is an original ENTERPRISE Monitor from England. It is a MICROVITEC Colour Monitor Model 3N250264BPQ, #125866 with built-in audio speaker/amplifier. This monitor was used at EC UK for doing photos for some of the advertising materials and official pictures. The monitor came with the stuff from England and I kept it for it's authenticity. I never talked about that before, but while looking for other stuff I came across my small "stock" of original cables for the ENTERPRISE. The pictures and descriptions are probably useful for your website. I never had a description for 900-07 (cynch-cable) and I have never seen an original cable. We always made our own Cynch-Cables by soldering the necessary connector to an open-end cable. Cables for the Model 911! Teacher stations on the russian networks had the CIAEGI M14H (color RGB with SCART-connector). 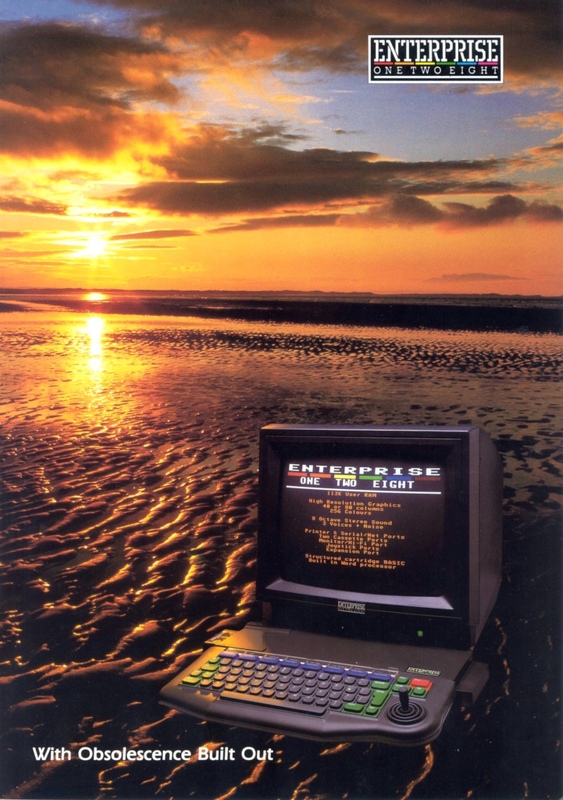 The idea of having an expansion system for the Enterprise goes back to 1986, when I created my EXDOS-controller. I was not very fond of the edgs connectors of the enterprise. Especially the expansion port with it's 66 pins was too big, too special, too expensive and not very stable, as far as mechanical and electrical things are concerned. And the biggest problem: It was already blocked by the system bus bridge and the original EXDOS controller. Not knowing anything about the Expansion system from IS/EC UK my friend Michael Leopoldseder and I decided to make a small expansion system, based on DIN 41612 connectors. These were/are cheap, reliable and mechanically stable. And they have 64pins, which is almost the same as on the Enterprise. Furthermore there are many prototyping cards (paper, FR4) available, that already have mounting holes and copper pads for these connectors. Doing prototypes for this system is very easy and the resulting boards are very solid and can be used for years like a card with a produced pcb. We made a concept for the bus buffering and found a very cheap way of driving the /EXP signal (we did it with a simple diode, first with 1N4148, later with BAT46 because of the lower drop in voltage), that was connected to the /RD-signal of the card. We left out all signals, that may disturb the bus (no anlog signals, no audio/video, ...) and buffered everything else in one/two directions. The sockets on the bus all have the same layout, i.e. we were not doing any predecoding of sockets, memory or address space. That means, that expansion cards for this systems must do a proper and full decoding of all i/O-ports and all address lines, but this is only a minor disadvantage against a system, that has no limitations. We created the name "MINIBUS" for the smaller version, that is directly attached to the expansion port of the computer. After finishing my EXDOS controller we both used this system at home and had a stable platform for future hardware expansions (fx. the harddisk interface). I made a second version of the MINIBUS adaptor with a DIN-VG-connector, that was directly soldered to my test machine. I put an additional 5V regulator on the machine to drive a4/b4 directly and made the 8 MHz circuit to support an EXDOS controller on the 6 MHz machine. It's from a 911 motherboard (quick & dirty). Later I made the Motherboard-Extension-Bus-System. It was divided into two boards: One (the computer interface) fitted to an EXDOS-housing and used the System-Bus-Bridge for getting connected to the ENTERPRISE. The other side (the bus interface) used a euro-board-pcb (160x100mm) and fitted to a standard 19" box with 64pin backplane as a bus system. The box contained a power supply for 5/12V, that was powerful enough to supply the harddisc drive. Unfortunately there is only the computer interface, that survived. I had given away my 19" box to another ENTERPRISE user and had the plan to make a fully professional looking one, but this never got finished. I only have the box with fitted backplane for it, but not more. But in principle I could finalize it to have a complete system. I never made a special memory expansion for this system (don't ask me why ). Both system were never produced professionally. All-in-all there were only about 20 MINIBUS-systems and probably only a handful of Motherboard Extension Busses (we only produced ten evaluation pcbs) of it. Then I asked: "Not knowing anything about the Expansion system from IS/EC UK", it is before you got the all plans? The plans for a small extension system were born together with my EXDOS controller. This is from 1986 and it was ready, before I had direct contact to EC GmbH. Therefore I had only a complete set of circuit diagrams of the machine and of the EXDOS controller at that time, not more. 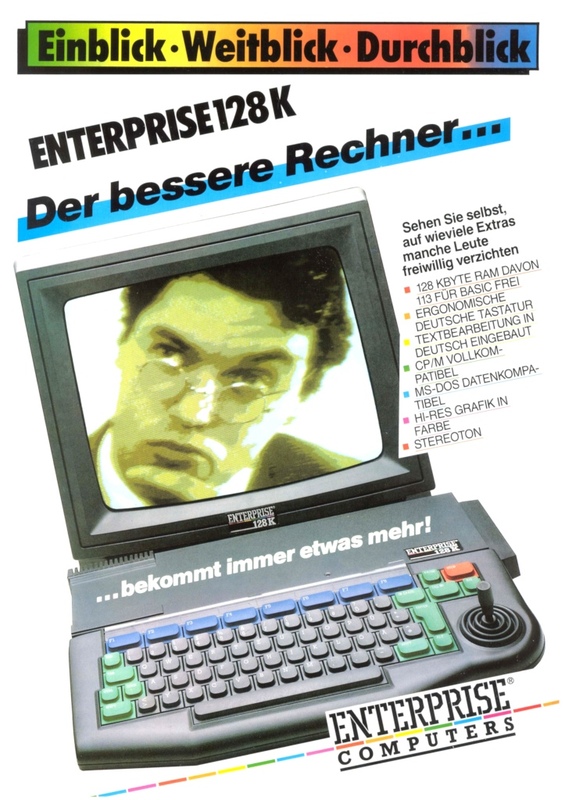 The EXDOS controller was my "entry" to EC GmbH, because I presented the controller and my bus-system to my dealer and he immediately called EC GmbH. Mike Windisch invited Michael Leopoldseder and me to the office at Sonnenstraße 3 in Munich and that was the beginning . Appr. half a year later we had the technical documentation from England for the expansion system than. You wrote previously about the harddisk system: "I have only the circuit diagrams and the top/bottom layer design as printouts anymore, there are no surviving prototypes." Then it is true for the "cabled" version? As I see in these photos the very first prototype are exist! Well, you are right as far as very early prototypes is concerned. The one proto card with the PC connector on board is the very first board from Michael, where he tested the first HDOS-software. The second card with the 40pin IDC-connector is my first prototype for the bus side of the cabled harddisk version. My document "Harddiisk_11A.PDF" has a part list for this cabled interface and b/w printing for the pcb from page 10ff. On page 10 you can see the last line "0.80m 40 poliges Flachbandkabel". That means 80cm ribbon cable with 40 pins. That was the distance we were sure that it will work on the customers eqipment, but we successfully tested 1m as well, as I already told you. But there are no surviving working prototypes of that version, only the earlier proto-boards. Furthermore I do not have the EAGLE-files for it anymore, but the films for component-/solder-layer for the PCB survived. As I wrote previously my first harddisk was a ST225 on an OMTI 5520 but we tested all controllers, that are shown in my above mentioned document. The first HDOS version 1.0 was for the OMTIs only but we tested other controllers as well and Michael made the adoption for the SEAGATE ST11R very soon after he had completed V1.0. The OMTIs already became rare on the market at that time and RLL controllers and drives were all over. So Michael decided to try the ST11R, but this was the only other controller type, that was adopted.